To get to the root of the larger issue—an overall lack of female executives in Canadian companies—Rosenzweig developed a study that reported on the number of women occupying any of the top five executive positions in each of Canada’s 100 largest publicly traded companies. Executive-search veteran Jay Rosenzweig didn't set out to pave new roads when he founded Rosenzweig & Company in 2004. However, the boutique search firm is not only changing the way people look at executive recruiting; it's changing the very makeup of the corporate world in North America and Beyond. Seeking to develop a long-term perspective, Rosenzweig began publishing his report annually, and today he receives accolades from all corners of North America. “We’re holding a mirror up to the corporate world and, in doing so, helping to incite change,” he says. It seems to be working, too, because the numbers are improving. Today, women hold 8.1 percent of the top executive positions in Canada’s 100 largest publicly traded companies—and Rosenzweig, for his part, hopes his firm has played at least a small part in that achievement. 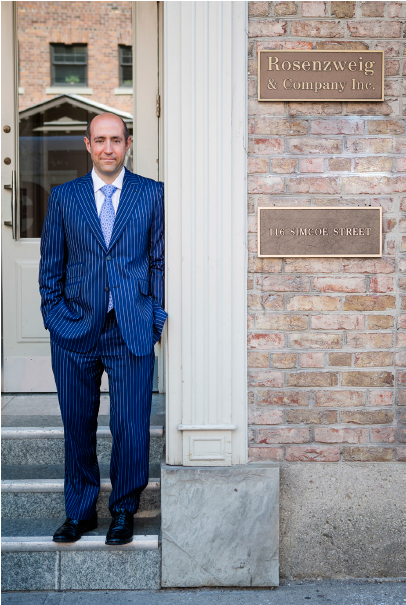 With entrepreneurism in his blood, Rosenzweig was virtually destined to launch his own business, but doing so in the executive-search industry came by chance. A lawyer by training, Rosenzweig answered an ad for a legal position at an executive-search firm in the 1990s. With that vision, Rosenzweig & Company works on a select number of assignments with a far greater level of intensity and devotes substantially more senior-partner attention to the execution of assignments. Its recruiters typically spend 60 percent of a search doing meticulous research to define the precise criteria for the ideal candidate, then they build the largest-possible relevant search population.